When you first sign up for your Skizzar site, you will be given a .skizzar.com domain name. However, it is easy for you to use your own domain name in place of this. 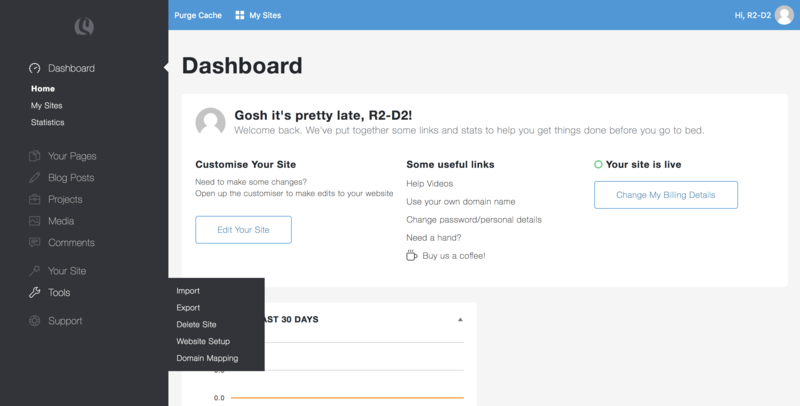 In order to map your own domain name, you will need to change a setting within your domain name registrar. This process is slightly different for each registrar, however, the most popular registrars make it relatively easy to access your domain name settings. If you are unsure of how to do this, contact either Skizzar support from your dashboard or contact your registrar support. 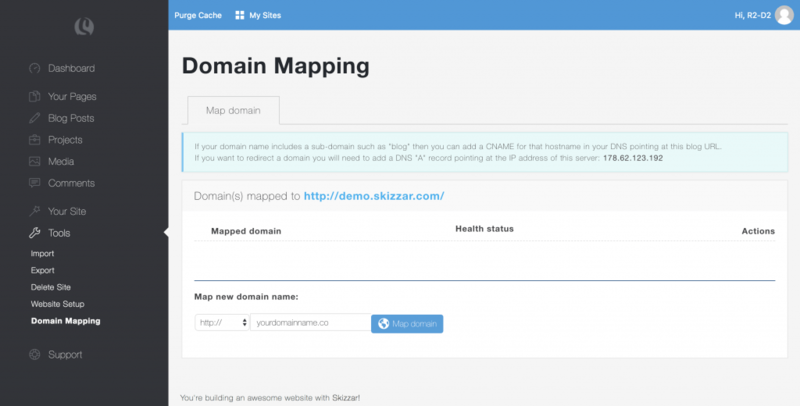 Below is an example from 123-reg of the DNS settings required to map your domain name to Skizzar – please note, DNS changes can take up to 48 hours to propagate. You can use dnschecker.org to check the current destination of your domain name and to know when it’s propagated. Changing DNS settings can be complicated, so if you’re not sure, give us a shout!